Victorian Roller Derby League is a member owned and operated non-for-profit association committed to encouraging, promoting and advancing the sport of flat track roller derby. The league currently has three representative teams: All Stars, Queen Bees and Notorious VIC’s. The All Stars are the first non-US team to be ranked #1 and won the Hydra at WFTDA Championships 2017. VRDL is based on the stolen land of the Wurundjeri people of the Kulin nation. We pay our respects to elders past, present and emerging, and recognise that sovereignty was never ceded. The VRDL was founded in 2007 and quickly skyrocketed into international competition after becoming a member league of the Women’s Flat Track Derby Association (WFTDA) in 2011. 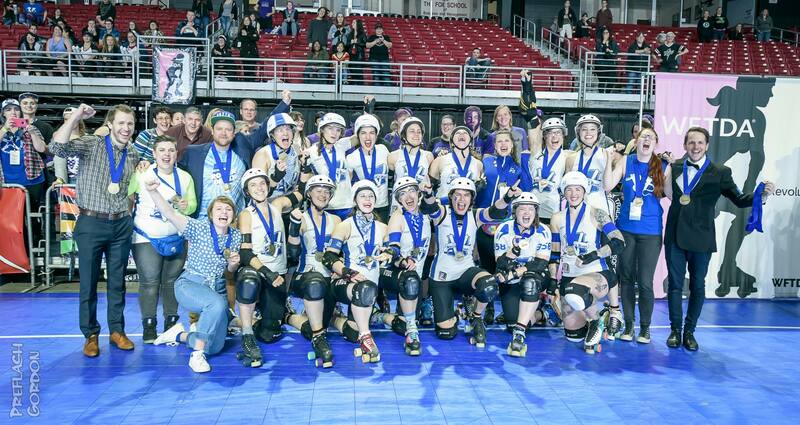 A decade after the league’s inception, VRDL continues to smash records left and right while dominating the roller derby scene on a regional, national and international level. These high standards are set by the three VRDL travel teams: the All Stars, Queen Bees and Notorious VIC’s. The league also offers many programs for those starting out including Juniors, Learn To Skate and Learn To Derby. VRDL prides itself on being an inclusive organisation made up of members who are passionate about empowerment and diversity. With 80% of league members identifying as queer, we value the importance of fostering safe spaces and actively opposing and preventing discrimination. And as a league also founded due to the need of a space for women and gender diverse, VRDL has zero tolerance for sexual assault and harassment. With inclusivity a fundamental part of our league objectives and mission statement, VRDL embraces people of any age, size, race, gender identity, sexual orientation, ability and cultural background. We will provide an opportunity for all to thrive and prosper through participating in the sport and community of roller derby. Interested in joining Victorian Roller Derby League? Head to the get involved page for more information.